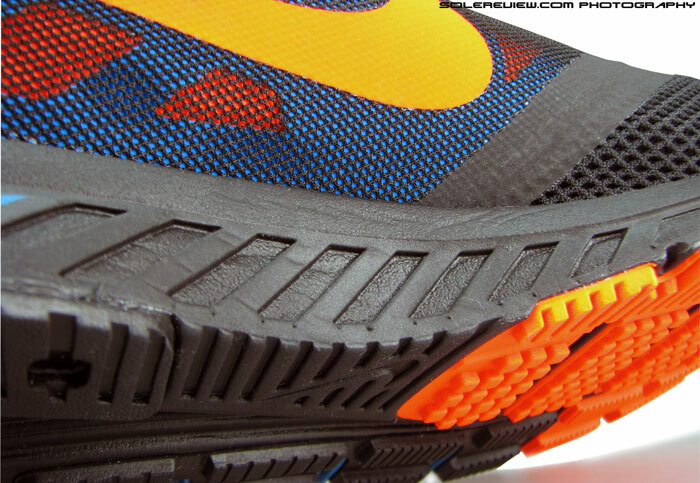 Upper: Single layer mesh, welded synthetic overlays. 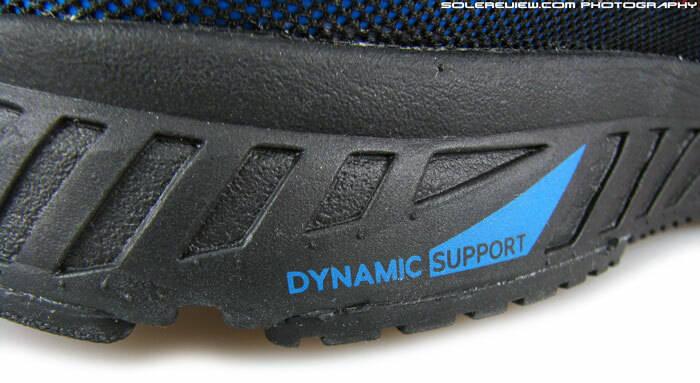 Midsole: Dual density compression molded EVA, forefoot Zoom Air bag. A watered down Zoom Structure 17, minus the acute heel tilting. Good for tempo runs - firm heel coupled with a responsive, yet slim forefoot. The Nike Zoom Fly. Looks like a baby Structure 17, but does it ride like one? We’re here today to find out. When viewed online, the Nike Zoom Fly looks a lot like a pared down version of the Zoom Structure 17. 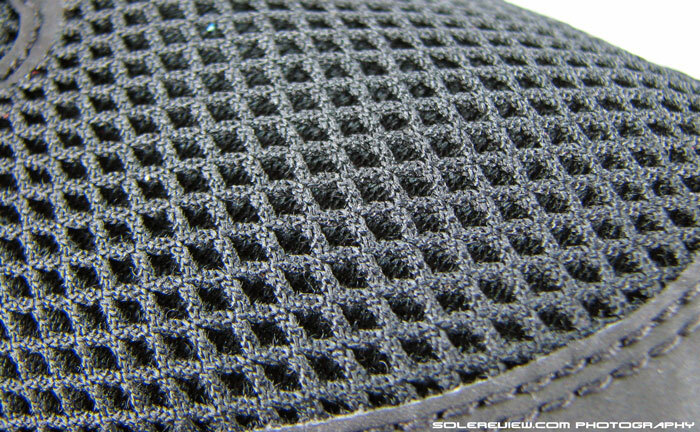 The heel midsole foam has that line supposedly separating firm and soft foam densities, the slits on the upper rear-foot aligns with that of Nike Structure’s, and midsole profile on both sides of the shoe also have a great deal of borrowed aesthetics. If you just went by looks, it is natural for prospective shoppers to deduce that the Zoom Fly is a trickle-down from the Zoom Structure, prorated by $20. We thought so too, when we first looked at the Zoom Fly. But is it really? The Dynamic support of the Zoom Fly isn’t the same thing as that of Structure and Lunarglide. This is gradually becoming a common sight. Painted midsole lines which hint at a dual density construction. 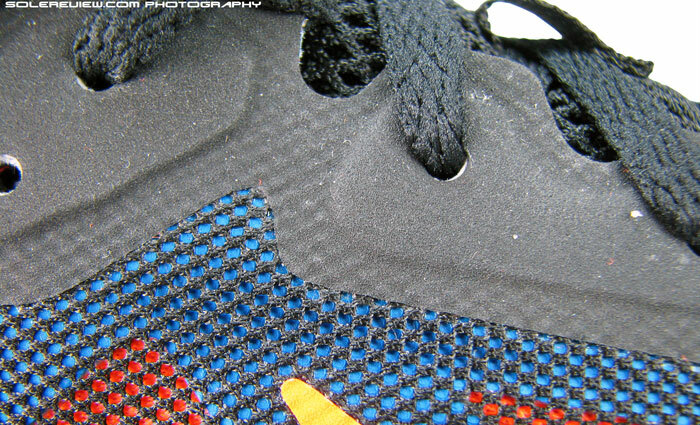 Midsole paint lines on the outsole. Yes, that blue part is paint too. Somewhat. Because Nike is confusing the heck out of everyone with its painted midsoles, and the Zoom Fly has one too. You see, while the Zoom Structure 17’s diagonal line across the heel midsole actually demarcates soft and firm foam stacks, the Zoom Fly uses paint on what is a single density foam casing. That’s the peril of shopping online; you can’t really tell these things unless you run in the shoes. In practical real day usage, the Zoom Fly does have some of the Structure’s character, but delivers it with a high degree of dilution. You can see the softer Cushlon foam below the foam Strobel. Nike mentions that the Zoom Fly combines soft Cushlon and EVA, and our wear-testing agrees, except that the Cushlon and EVA aren’t stacked together at a sharp angle. 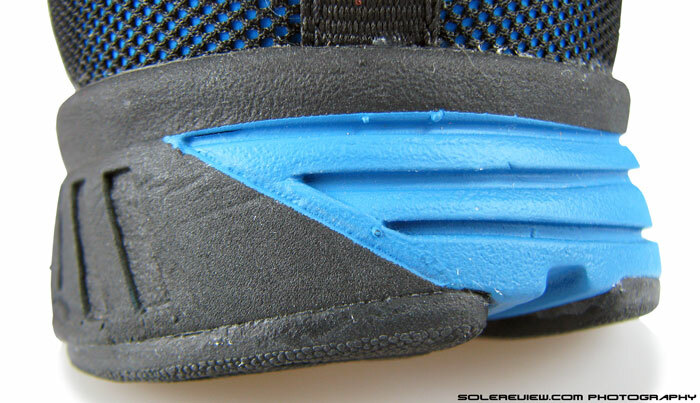 Much like the Lunarglide 6, there’s a base of softer foam inside the shoe, surrounded by firmer EVA all around. Out of the box, the EVA midsole is quite firm to the touch, and it’s only during running foot-strikes that you sense the softer core inside. There’s a difference in how the Zoom Fly midsole is cored out on inner and outer sides, with the medial face being flat and lateral featuring these grooves which is meant to compress with landings – something you saw on both the Structure 17 and the Pegasus 30. 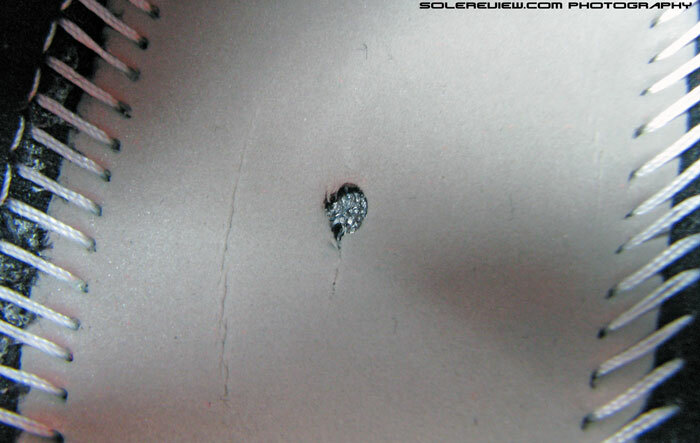 But do remember that both the aforementioned models had soft foams and grooves, which made compression more effective. The Zoom Fly sits much lower in stack height, with a firmer density material tossed into the equation. As a direct consequence, rear-foot landings do not result in the tilt-inducing motion control behavior of the Structure 17. The Fly left the impression of being a ‘neutral shoe’, with the soft foam core taking most of the body weight. 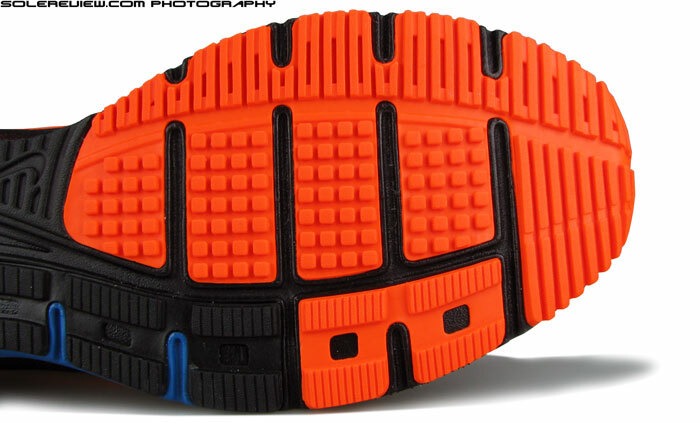 Somewhat of a cross between a Structure 17 and Zoom Elite 7, but with a lower midsole profile. 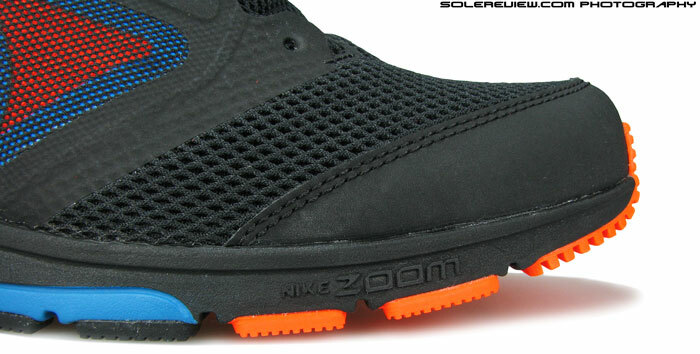 The forefoot’s got a low profile, with Zoom Air for cushioning. More flexible compared to the Structure. 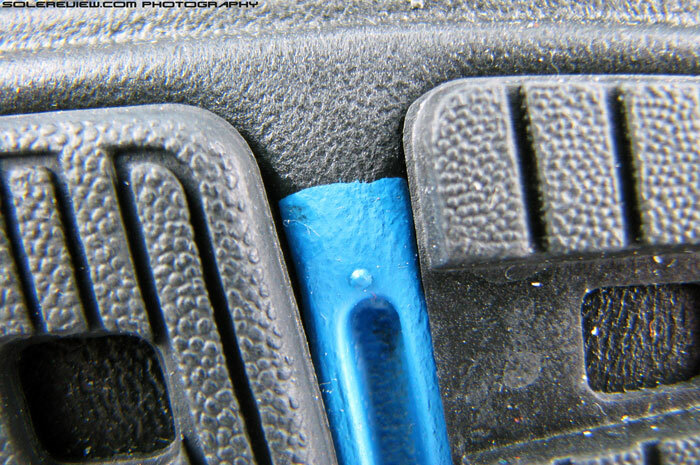 Zoom Air bag partially visible through the lasting-alignment hole in the forefoot. Good forefoot plant and grip with a flat geometry and plenty of rubber lugs. The Fly has a forefoot Zoom Air bag seated right under the layer of foam Strobel, so there’s responsive cushioning there. Unlike the Structure (and even the Zoom Elite), the Zoom Fly forefoot sits comparatively much lower to the ground, so the Zoom bag pretty much forms the entirety of forefoot cushioning. Because of this, there’s good feedback from the drop-stitched Air bag, compared to bulkier models. If we had to pick our favorite part of the Zoom Fly, that would be its forefoot. It is slim yet cushioned, and the lower profile (with flex grooves) makes it more flexible than Elite and the Structure. The traction is great too; forefoot underside has ample coverage of rubber, and the area is very flat in shape – lending the Zoom Fly a planted forefoot feel. That design bodes well for forefoot strikers, and even if you weren’t, you’d still find push-offs efficient in the Fly. That said, the Zoom Air bag feels a bit lumpy and if you pay close attention, you’ll sense the edge where the Zoom Air bag ends and midsole foam begins. We thought the midsole under-arch wall would dig in. It doesn’t. 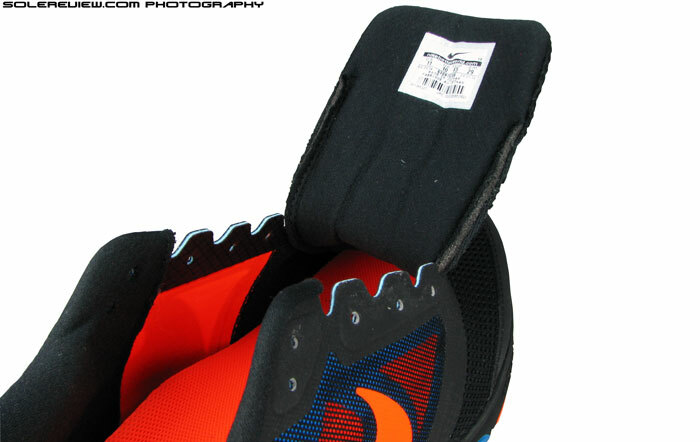 Overall heel to toe transition is good, with a partially articulated crash pad and slightly beveled heel edge. The mid-foot arch area isn’t flared up and we thought this could be a problem (dig-ins), but this did not turn out to be an issue at all. The edges sit lower, and the foam material is conforming. We saw some crease lines just underneath the arch area, which meant that while the arch loaded on that area during the gait cycle, the foam compressed accordingly with weight. Durability comes across as good on the Zoom Fly, with around 85% of the outsole carpeted with carbon rubber. Molded EVA foot-bed, nothing spectacular. The footbed markings say QMR-3, which means a different last than the Structure, Elite or the Glide. A quick recap on how the Zoom Structure 17 feels in comparison. Switch from the Zoom Fly, and you’ll immediately notice how soft the Structure is. Both in the heel and forefoot, and while it’s obvious that the thicker and softer midsole is the reason, a different footbed contributes to an increased level of just-under-the-foot padding. The Zoom Fly uses an ordinary, molded EVA sockliner, while the Structure comes kitted with a dual density insole – ultra soft foam layer topped over a firmer base. But where the Zoom Structure feels really different is the way its heel behaves, causing massive correction of foot-strike, something which the Zoom Fly steers clear of. It induces gait correction at a much lower level, as the lateral grooved wall tends to compress a tad more than the medial side. Slit underlays – similar to that of Zoom Structure 17. Move up, and the Zoom Fly upper doesn’t share much with the Structure, except for the heel area, which looks similar. The area’s got a mesh layer stretched over slits, something we saw on the S-17. There is a small difference though, and it plays to Zoom Fly’s advantage. 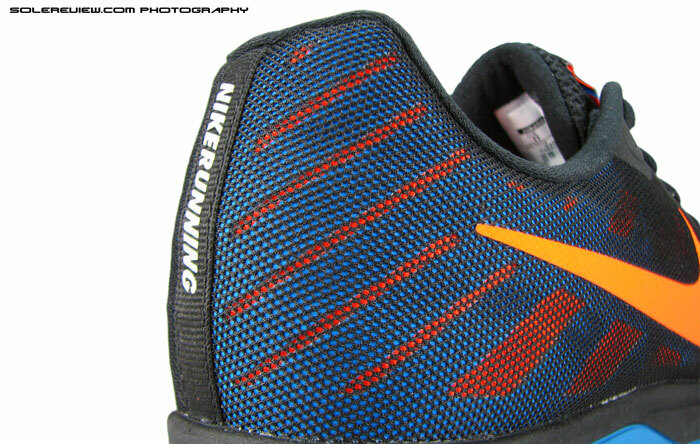 The heel center line has a strip with reflective text, which scores over the Structure because the latter had no reflectivity at all. The Zoom Fly also has a reflective tongue lace-loop, and while it may not be much, its is still better than having none at all. Upper fit isn’t the Zoom Fly’s strongest suit. Before we get into the unsavory bits, we’ll give you a rundown of it’s finer points. Forefoot is quite roomy, with both vertical and sideways space. It’s got a traditional, stitched-on synthetic leather toe bumper, but rest of the forefoot is pure mesh. This allows the foot a general freedom of movement and foot-splay, apart from making the front well ventilated. The pointy edges of the eye-stay isn’t a threat, as those slide over (forward) the forefoot each time you flex the foot, instead of bending inwards. The inner lining is smooth, with the mid-foot saddle uses a softer and thinner kind of orange mesh, which serves both as visual contrast and mid-foot wrap. Overall sizing should be treated as true, keeping in mind that there’s 1/3 rd size worth of room ahead of the toes – and half upsize if you intend to run barefoot in the Zoom Fly. That you can easily do – though you do feel the seam under the lateral end of the eye-stay, but not a deal breaker. The eyestay panel is hard. The eyestay panel is a composite layer made of three materials. Does not sit flush over the tongue, even with proper lacing. But the sunshine pretty much ends there, and we’ll call out a few things which we found wanting in the Zoom Fly. The mid-foot grip isn’t perfect. The eye-stay edges, through which the laces pass through, is very hard. Even laced tight, the protruding edges tend to point upwards and not sit flush over the tongue. 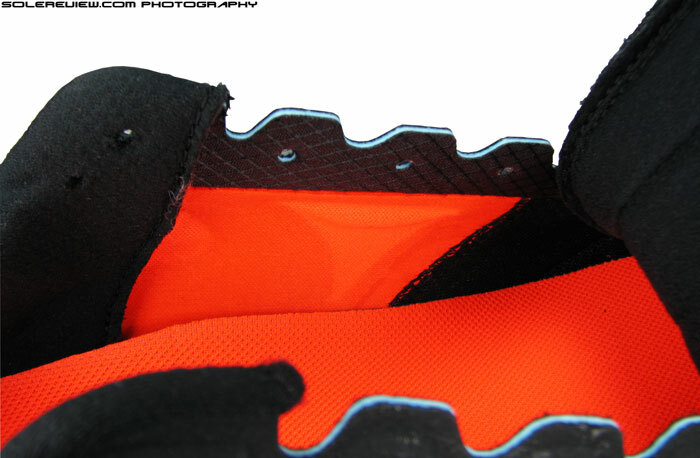 The eyelet holes are punched into this hard composite, and the laces take more effort to be properly cinched. The whole process just feels lethargic, and somewhat not sorted right. The Structure 17’s lacing feels much quicker in comparison, helped by the softer eye-stay panel and strap based lacing on the medial side. The heel area will be another potential area of concern for many runners. Foam padding around the Achilles dip isn’t generous, so the collar doesn’t feel snug. The heel height also sits lower than the Structure 17, so both these factors doesn’t make the collar grip confidence inspiring. The Air Zoom Elite 7 has a similar upper heel height to the Zoom Fly, but then it is compensated by a higher level of foam padding all around. You could work around the fit by utilizing the last (and lower) row of lacing, but then the tongue is short so the situation isn’t a win-win. 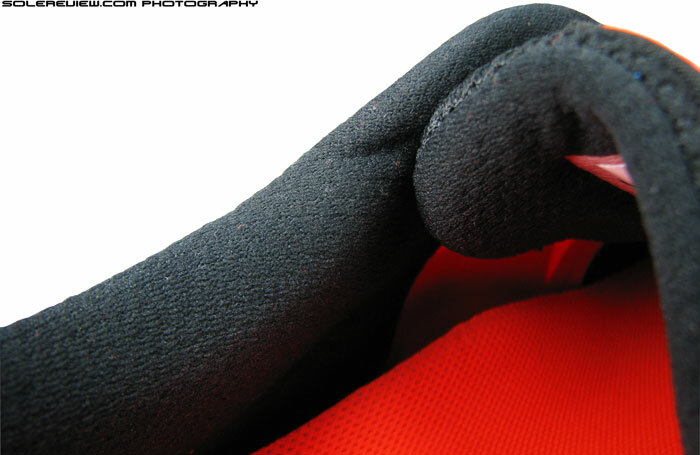 The tongue is constructed un-stitched to the side, so there’s some amount of tongue slide as well – which is annoying. Considering the $90 price, the Zoom Fly offers fair value though. The upper fit needs a bit of sorting out, but its shortcomings are made up for by the Zoom Fly’s ride, which scores on multiple areas. A slightly cushioned heel paired with a responsive, yet low profile forefoot takes the Zoom Fly into a semi-distance flat territory, good for times when you want to weave in some tempo into your workout. It’s also a good alternative in case you don’t want the extreme footstrike correction of Zoom Structure 17. Interesting review! I am new to the science of running shoes and would like some advice: I am an underpronator (I think- see pic of my nike old shox) and am in between these shoes (zoom fly) and the nike dual fusion 3. Which one is best suited for me? I will also be wearing them to work: I work at a hospital but I’m not on my feet all day. Thanks in advance for your help! Depends on what you want really, the Dual Fusion I feel offers a softer, chunkier ride, while the Zoom Fly’s are firmer and more responsive (it’s sorta weird for me because the forefoot is very firm while the heel’s much softer due to the cushlon used). I would pick the Dual Fusion, but that’s just me (super marshmallowy ultra plush rides feel SOOOOOOOOOOOOOOOOOOOOO good). The dual fusion is slightly more stable as well, so that might suit you better. 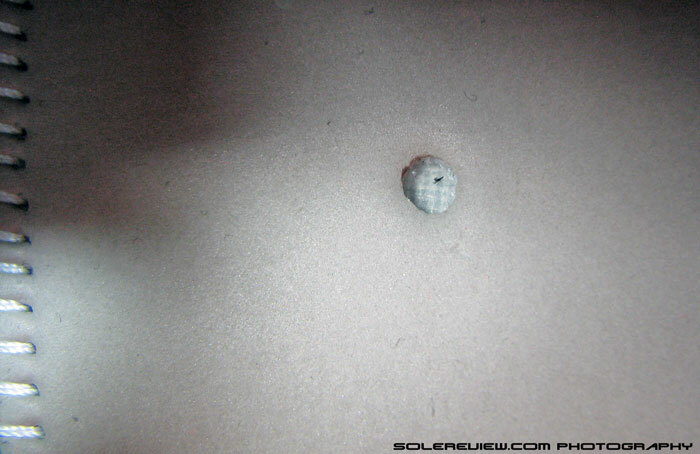 I’d wait for the official solereview mod to answer your question, but those are my two cents. BTW, how’d you feel the Shox’s cushioning was? Hi, thank you for the comment and sharing the pictures with us! Agree with the reply posted below (thank you, Qian), Dual Fusion just seems a better choice out of the two. Way more comfortable than Zoom Fly. Try something like the Nike Pegasus 31 or adidas Supernova Glide 6 (or 7) Boost. 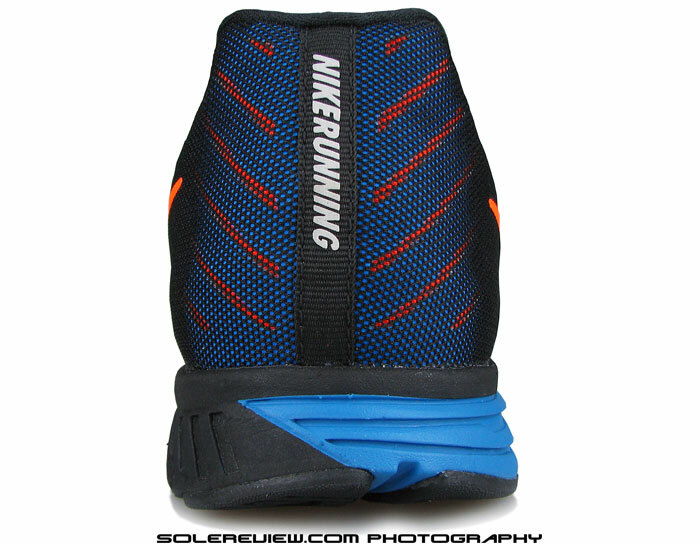 What Nike brand running shoe would you recommend for an over-pronator with flat feet? I know I need stability, arch support, and motion control but can’t seem to find the right shoe. I would prefer a Nike shoe but will consider other brands as well. Thanks! The Nike Structure 18 is a good bet, but alongside, see if you can fit try the adidas Supernova Sequence 7 Boost, Brooks Adrenaline GTS 14/15, Brooks Transcend (not so much of motion control but stellar arch support), and Asics GT 2000 3. If you’re on the Inspire, why not try the Wave Sayonara 2? Or Hitogami 2, if you want something even more lighter? Thanks for the suggestion, but we have no plans for a review. Both the Zoom Fly’s share the same midsole, so they should ride the same. Many thanks for the quick reply and for the great reviews you publish! All the best! Hi…. Brilliant review there! I am flat footer. Functional flat foot! I do a lot of sorts including cycling and lawn tennis. I am considering a shoe which I would use for running now for another 4 months (about 2-4 kms each day, 5 days a week) and long standing hours later (in surgery, where I will be joining as resident). Would you recommend an arched shoe for standing too or something like pegasus? I have tried Structure 18 and I find it good. But I LOVEEEE pegasus and it’s plush feel! What do you recommend here? I would love to continue my loyalty for Nike. Plus not many other brands are available near my place. Is pegasus (I am looking at 31) a bad option for a flat footer? If the Pegasus felt nice, then no harm in getting one, that shoe does well for standing and walking around. We’d choose the Pegasus 31 over the 32, as the former has a more relaxed feel and should be available at a generous knock over its retail price. 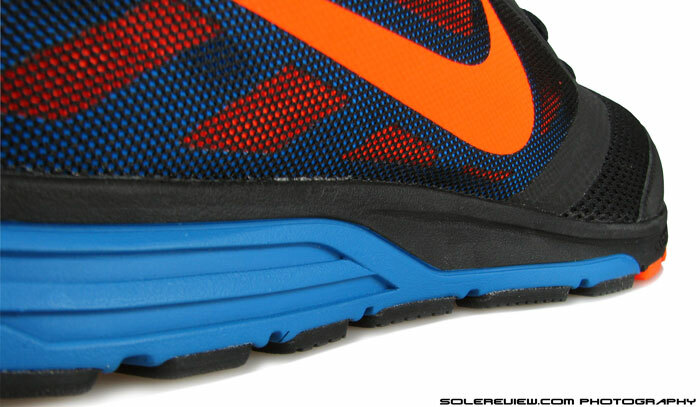 Another new shoe which we see as a potential candidate is the Nike Zoom Odyssey. We haven’t reviewed it yet, but it appears to be a mix of the Vomero and Structure, and looks very plush! Worth a try, and would be great to hear your feedback. This Nike shoe has just hit the market, so might not be available everywhere yet. Thank you for sharing the feedback. The Structure 18 is a stable shoe with a good support character, and because of that, rides noticeably firmer. Happy to hear that you devised your own mechanism for selection of running footwear. Appreciate your offer of sharing it with us, but due to time/resource limitations, we will unable to give it the attention it deserves (feedback/engagement). We will certainly reach out to you once we have more hands on deck! Not sure how Dr. Scholl insoles compare, we haven’t had an opportunity to test them.